This is a Spanish five piece band featuring a female Dutch singer who sings in English. The keyboard player Jordi Amela and guitarist Jordi Prats are known names, because they were members of Spanish progrock formation Drackma. 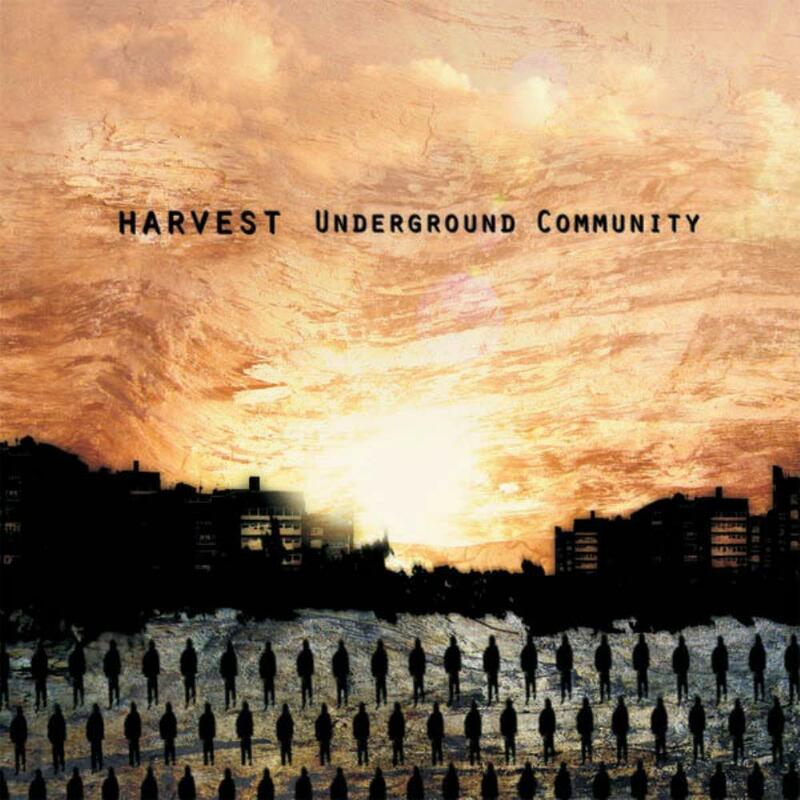 Between 2009 and 2014 Harvest released 3 studio-albums (their latest entitled Northern Wind is from 2014), this review is about their acclaimed debut CD Underground Community. This debut CD contains 13 tracks (running time 55 minutes), including the cover Waiting To Happen from Marillion. This is no coincidence because Harvest was the support-act of Marillion during a gig in Barcelona. And just like Marillion on their album Holidays In Eden, Harvest delivers song-oriented music with an almost cinematic atmosphere and pleasant vocal lines. Most of the songs have a laidback climate or slow rhythms with the focus on singer Monique Van Der Kolk. She is a Dutch woman who went to Barcelona on her 20th and started this musical project. With her pure voice Monique colours the music in a very pleasant and emotional way. The guitar work is pretty functional but we can enjoy some moving and compelling solos, like in Beyond The Desert (sensitive with hints from Neil Young), No Return (with the use of slide and sustain) and She Tries (between Rothery and Latimer). The guitar sounds more powerful in Mara (intense riffs and in the end a heavy solo with fiery runs) and the mid-tempo song The Horizon (fat rock guitar). The keyboards sound subdued, from soaring keyboards and tender piano to soft synthesizer flights. But I like the way these keyboards are blended into the music. I would like to describe Harvest their wonderful sound as 'wonderful Mediterrenean sunset prog'. PI2, Bijou, Dr. No, Senogul, Taifa, Arabiga, Albatros, Neverness, Kotebel and Estygya.